After prison guards found Chelsea Manning unresponsive in her cell after an attempted suicide in July, they placed her in solitary confinement at Fort Leavenworth, Kansas in the military prison. On her first day of confinement in October, she attempted suicide for the second time. According to studies by the American Civil Liberties Union (ACLU), 73 percent of suicide attempts in incarceration happened in isolation cells. 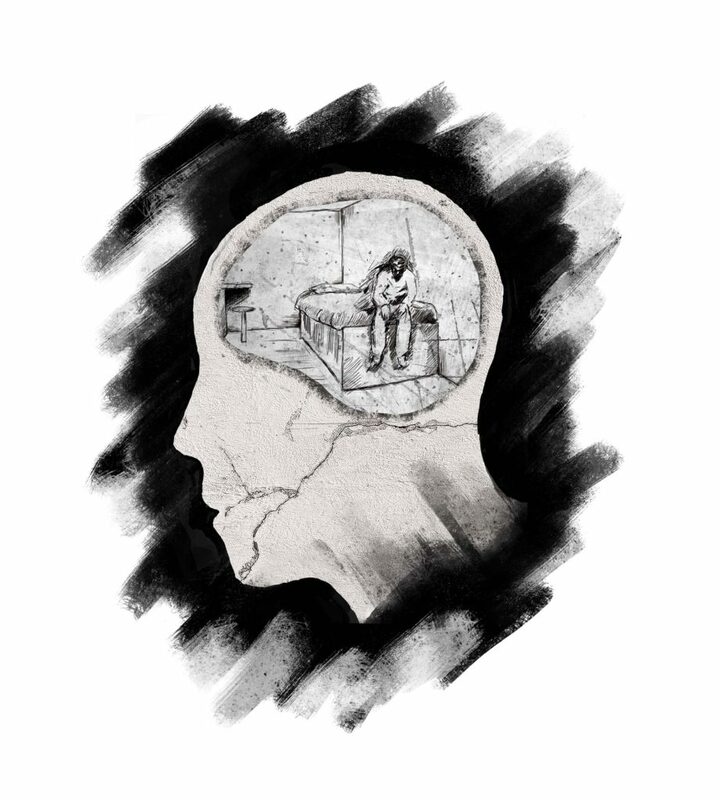 Isolating someone who is already in a critical mental state is, as Solitary Watch says, “the mental equivalent of putting an asthmatic in a place with little air.” It’s an extension of the prison institution’s flawed understanding of mental health care. Given its detrimental effects on mental health and longer term stability, solitary confinement is completely inappropriate for someone experiencing suicidal thoughts — yet nearly 50 percent of all prison suicides happen there according to The New York Times. Manning, a former Army intelligence analyst, is serving 35 years for leaking classified documents to WikiLeaks. She attempted suicide in July when doctors denied her proper healthcare for her gender dysphoria. Solitary confinement — also referred to as isolation cells — heightens psychological and physical degradation, which include high rates of anxiety, nervousness, anger, nightmares, insomnia, as well as dizziness and heart palpitations. Prisoners are isolated for almost 24 hours a day in cells less than 10 feet by 10 feet for days or years. And Manning isn’t alone. Solitary confinement is a common punishment used in prisons across the country, and it’s one that is antiquated, nonreformative and should be considered a serious human rights violation. According to estimates by Solitary Watch, somewhere between 80,000 to 100,000 incarcerated persons are put in some form of confinement or isolation during their time in prison. In California alone, as of August 2015, nearly 7,400 people were in some type of segregation unit. Over 100 Santa Clara County inmates went on a two-week hunger strike in October to protest the practice of solitary confinement. Their demands included better prison conditions and restrictions on solitary confinement. While county jails are technically not allowed to use confinement, protesters say inmates only have isolated outdoor time, where they rarely interact with others and are in a walled outdoor space. UC Santa Cruz professor of psychology Craig Haney conducted interviews in Pelican Bay supermax state prison, concluding the harmful effects and loss that isolation can produce, especially when many prisoners are placed there for an extended time. In 2013, Pelican Bay inmates who had been in Secure Housing Units (SHU) for decades began a hunger strike against confinement that spread through California prisons as almost 30,000 inmates refused their meals. And although it prompted legislators to question the practice, it has yet to be abolished. In September, Senate Bill 1143 authored by Senator Mark Leno, was signed to limit solitary confinement for juveniles. If the Senate can recognize solitary confinement as unlawful for juveniles, the same needs to be seen for adults. Confinement is used as a form of punishment and is not reserved for worst-case scenarios. Some argue that confinement can prevent inner-prison gang violence or otherwise unmanageable situations, but people are also isolated for less safety-based reasons. More effective, less harmful alternatives exist in improving prisoner behavior, with the most obvious being a reworking of the classification system of prison offenses. The number of individuals sentenced to solitary and the time spent in solitary must be reduced. When a person is locked in a windowless cell with no communication with the outside world, it will damage their mental state. Torture is unconstitutional, and solitary confinement needs the same judicial consideration.